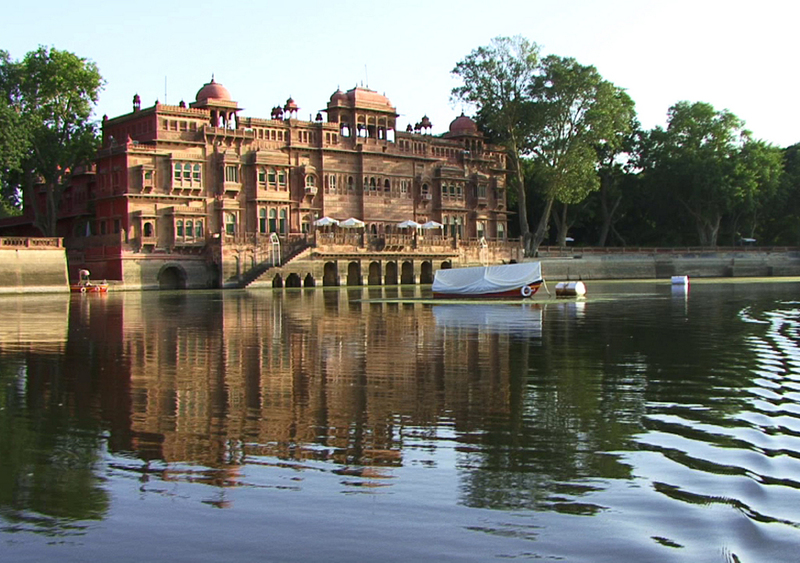 Live like Maharanis and Maharajas of yester years by staying in beautiful palace hotels. Visit the marvelous Taj Mahal. Peek into the history at the heritage sites of Jaipur, Udaipur, Bikaner, Jodhpur, Jaiselmer etc. Stay at Manvar camp and enjoy a camel safari. On arrival at the Delhi airport you will be met & transferred to the hotel. In the afternoon, you’ll set out for a half day city tour of old Delhi including a rickshaw ride. Delhi, the capital city of India, is one of the largest and fastest growing metropolises in the world. It is a bustling city, ever growing and molding itself with the times. The city has a colorful history which is embodied in its monuments, forts and historical places. A visitor can choose to sample the culture of the city in its vibrant markets or taste the Indian cuisine in its numerous eateries. Delhi has something to offer everyone! Post breakfast, leave on a morning city tour of New Delhi. After an early lunch travel to Agra (5hours drive). On arrival, check in to the hotel and spend the rest of the day at leisure. Visit the magnificent Taj Mahal at dawn. 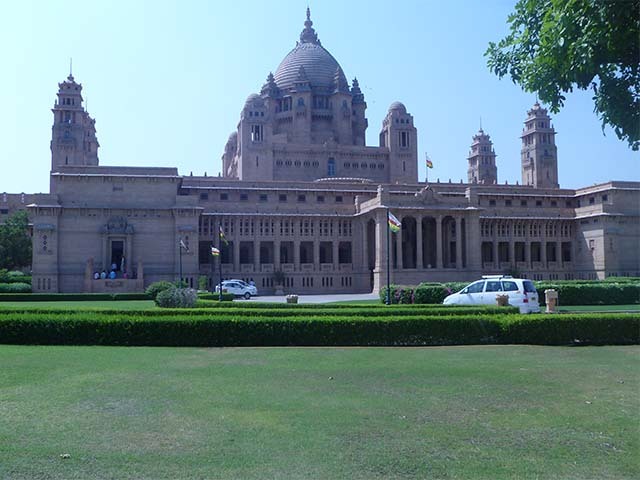 Its architectural splendor is a vivid reminder of the legendary Mughal Empire. Then head out to explore the sprawling Agra Fort, the erstwhile seat of Mughal dynasty. Also, visit Itmad-ud-daulah Tomb, known affectionately as “Baby Taj”, and the local market for some shopping. Post breakfast, travel five hours to Jaipur . En-route, explore Fatehpur Sikri, a former Mughal capital city from 1571 till 1585. Walk around a complex of monuments and temples here, including one of India’s largest mosques-the Jama Masjid. After sightseeing continue your journey and check in to your hotel at Jaipur. Evening at leisure. Rajasthan's beautiful Pink City Jaipur, was the stronghold of a clan of rulers whose three hill forts and series of palaces in the city are important attractions. 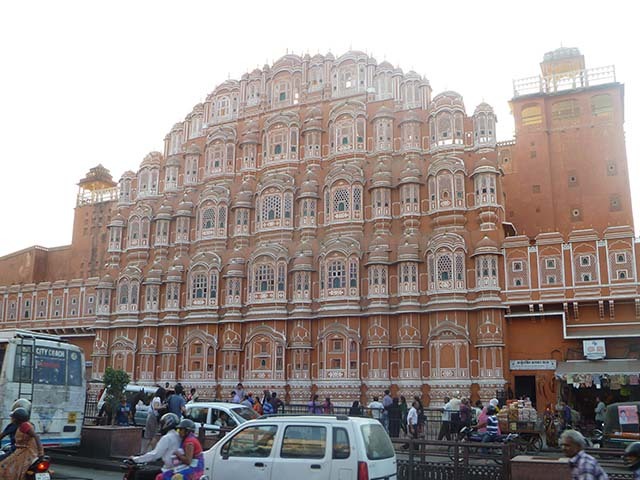 Jaipur is known as the Pink City because of the colour of the stone used exclusively in the walled city. After breakfast, you’ll spend the entire day exploring the Pink City of Jaipur. Set out in the morning for a half-day tour of Amer Fort, an ancient palace built in a beautiful confluence of Hindu and Mughal architectural styles. Later, visit the City Palace, Jantar Mantar (an astronomical observatory) and Hawa Mahal (the Palace of Winds). Return back to your hotel and rest for the day. Post breakfast, travel to Bikaner (6 hours drive).On arrival check in and relax in the serene environment of the palace. You will be visiting the Gajner Wildlife Sanctuary in the afternoon. Gajner Wildlife Sanctuary has a beautiful lake surrounded by dense forest. The lake attracts variety of birds and mammals. The sanctuary is inhabited by deer, antelope, nilgai, black buck,desert foxes, wild boars and more. After breakfast, visit the Junagarh Fort and Lalgarh Palace & Museum. Later, return back to your hotel for some rest. You may visit the Camel breeding farm in the afternoon (optional). The timings to visit the Camel breeding farm are daily from 3:00 pm to 6:00 pm. Post breakfast, drive for three hours to Manvar. Check in at Manvar Camp and head out for a Camel Safari. Later, return to the camp for overnight. After breakfast, you will be driven three hours to reach Jaisalmer. 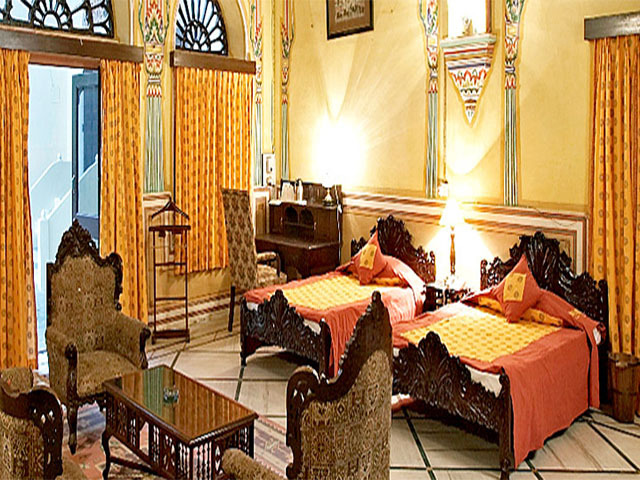 In the afternoon, you’ll be visiting the Jaisalmer Fort, Jain temples and the Haveli’s. Later return to the hotel to spend the night. Jaisalmer, named after the Hill Fort of Jaisal, is called the “Golden City of India” because the yellow sand gives it a yellowish-golden shade. Nestled in north India in the Thar Desert of Rajasthan, Jaisalmer is known for its stunning sand dunes, magnificent havelis (mansions) and forts, and ornate Jain temples. Post breakfast, set out for a five hours drive to Jodhpur. Visit the Mehrangarh Fort, Jaswant Thada, Umaid Bhawan Museum and later continue your journey for one hour to reach Rohet. Over night at Rohetgarh. Embark on a morning jeep safari to visit the Bishnoi Village to get a glimpse of the cultural life of the area.Spend the remaining at leisure for activities at Rohetgarh. Post breakfast, depart for Udaipur. En-route, visit the Jain temples at Ranakpur (the temple opens to foreigners at noon). Continue to drive to Udaipur. Check in at the hotel. Rest of the day is at leisure. You may visit the City Palace for sound and light show in the evening (optional). After breakfast, you will be taken for sightseeing of Udaipur city visiting the City Palace, Sajjangarh, Saheliyon ki Bari, Eklingji and Nagda ruins. The remaining day is at leisure. After breakfast at the hotel, morning is at leisure. Later, you will be transferred to the airport to board your flight to Delhi from where you’ll connect to your onward flight back home as your journey ends today.